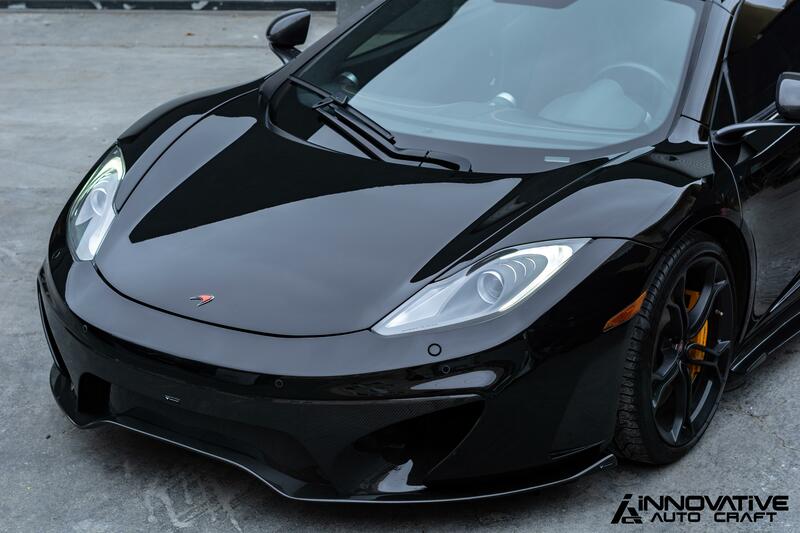 Here we have the McLaren MP4-12C in their signature Fire Black – complete with a Vorsteiner body kit that “pushes the boundaries of art and technology,” done by none other than Innovative Auto Craft. While the vehicle already comes with intricate styling, the Vorsteiner Carbon Fiber provides superior stiffness, aerospace strength & durability compared to traditional hand laid carbon fiber composites. 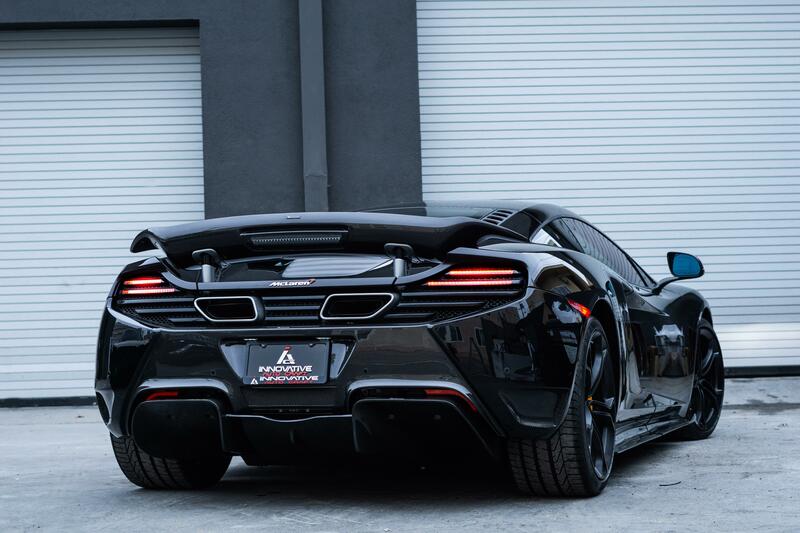 The McLaren is a top performing sports car, with plenty of aesthetically pleasing features including minimal weight, side-by-side seating, a narrow power consul and powerful V8 engine. It is capable of going from the track to the street or vice versa in a fairly smooth manner – making it the ideal supercar. 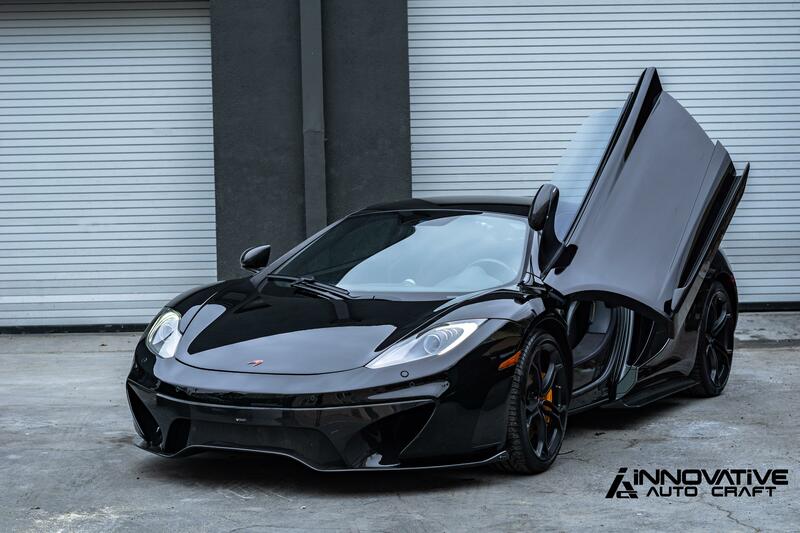 The styling of these components takes the MP4-12C a step away from sports car and a step closer to race car. Engineered carefully to stabilize the additional down force provided by the front and side elements. Added to balance front and rear aerodynamics of the vehicle. These were all requesting by the owner mostly for stylistic purposes and not to take away from existing quality, performance or aesthetics that the MP4 is known for. We especially love the detail in each of Vorsteiner’s products, as they promise to put them through a highly detailed quality control test before leaving their on-site factory. Our clients want nothing but the best products and that’s what we plan to deliver with each of the brands we work with when incorporating custom elements to any vehicle that enters the Innovative auto shop. To upgrade your ride with Vorsteiner elements or one of our other countless body kits, wraps and Customization Services, contact our team today!